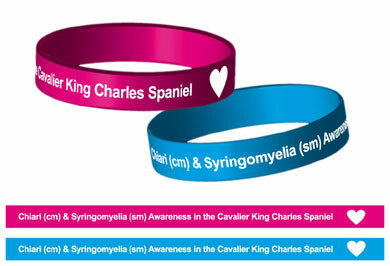 Please help to raise awareness of Syringomyelia in the Cavalier King Charles Spaniel by wearing one of our wrist bands. They are available in either pink or blue. Spread the word and help reduce suffering.